Close.io starts at $59 USD per user, per month for a basic plan. This ranges up to $149 + USD per user, per month for a business plan. There is a free 14 day trial available and 10% offered for annual plans. 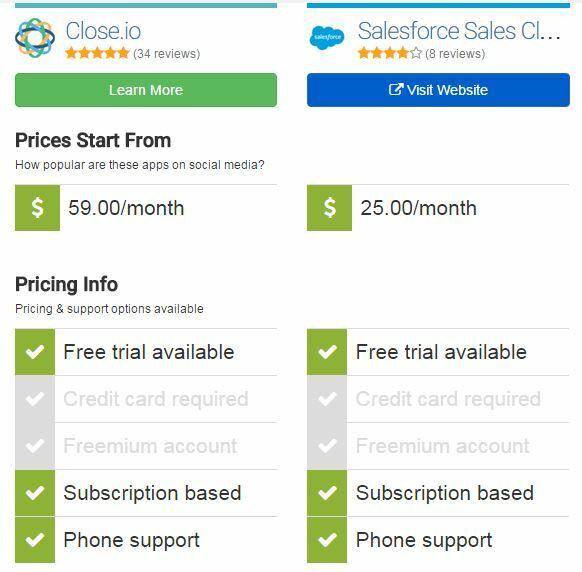 Salesforce pricing starts at $25 USD for a basic user per month, and ranges up to $250 USD per user per month. 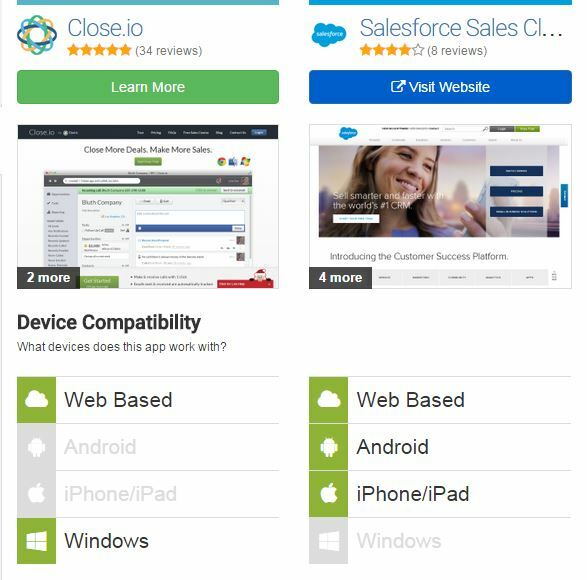 Salesforce offers a free 30 day trial. The basic pricing of $59 per user per month, Close.io offers API, and email integration. 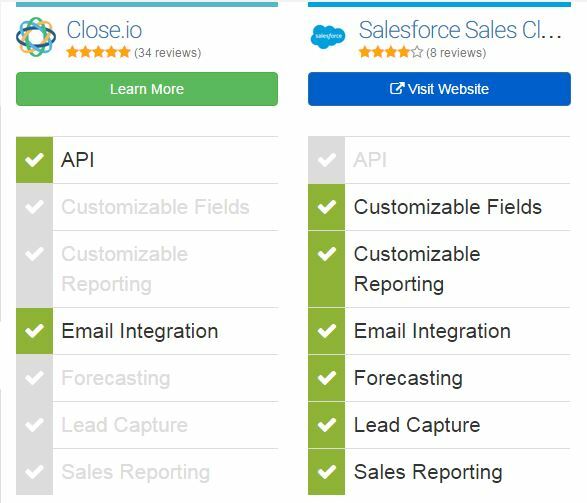 Whereas Salesforce for the basic pricing of $25 per user per month offers custom fields, custom reporting, email integration, forecasting, lead capture, and sales reporting. In terms of features for basic pricing, Salesforce definitely wins. Close.io offers email integration at a basic user level. Salesforce offers 175 applications for integration at their basic pricing tier. There are so many alternative CRM products available. Why not trial them and see which one works best for you and your business?